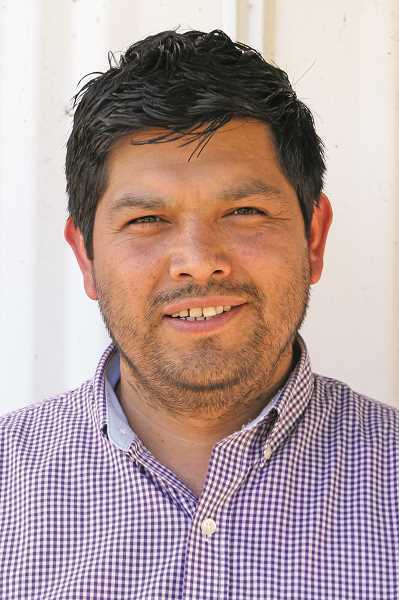 The Woodburn City Council is looking for a new member after the city announced the resignation of Ward 1 councilor Juan Serratos on Friday. Serratos was appointed to his seat on July 24, 2017, by then-mayor Kathy Figley to replace former councilor Melinda Veliz. A longtime Woodburn resident, Serratos works in the Division of Child Support in the Department of Justice, where he supervises a team of about 40 people that collect on child support. He joined the city council due to a desire to become more involved in local government, with an intention of bringing economic development to the city while encouraging more residents to become involved in the city's decision-making process and maintaing safety in the city. "I really think, and I really believe that as citizens, we need to get engaged," Serratos said in a 2017 interview with the Woodburn Independent. "I would like people in the state to know this city as the diverse, inclusive community it is. With a good perception of the city will come development in the city." With his absence, the city will begin accepting applications to fill his position until Friday, May 4. Applicants must live within the boundaries of Ward 1, the westernmost ward in Woodburn that includes areas directly south and west of Interstate 5. The remainder of Serratos' term runs through December 2020. Applications are available at the city's website at http://www.ci.woodburn.or.us.